Windows 10, by default, displays the time and date on the right side of the taskbar like every other version of Windows previously has. It displays the usual forward slashes between double-digit numbers for the date and a 12-hour format for the time. There’s nothing inherently wrong with that, of course, but not everyone likes their time in a 12-hour format. For some, you may have a 24-hour clock in the taskbar for some reason and you may want to switch back to a 12-hour clock. 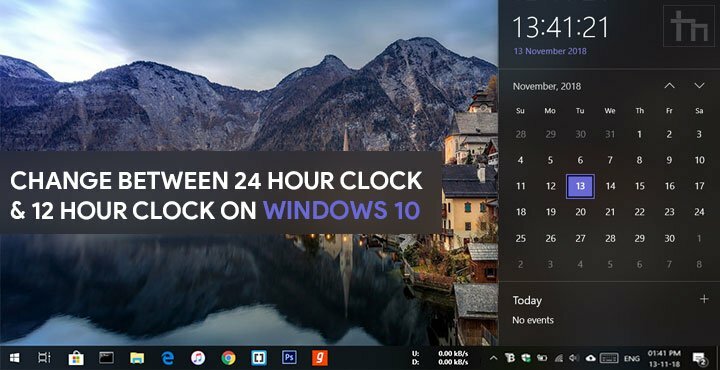 Windows 10 lets you change between the 24-Hour & 12-Hour clock without resorting to any hacks or third-party mods. 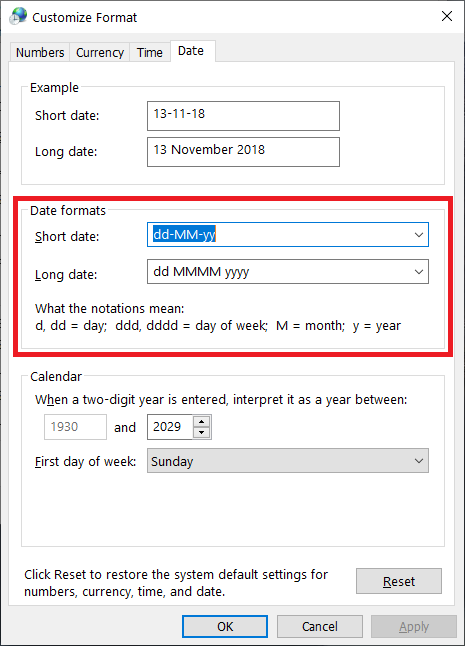 Perhaps you simply want to change the format of the date that is displayed, say, you want dashes between the date, month and year instead of slashes. That’s also possible from the same settings. It’s been a while since Windows 10 was originally launched but the operating system is still very much a work in progress. Microsoft has been trying to bring more of the legacy stuff into the modern Windows 10 interface with every update. 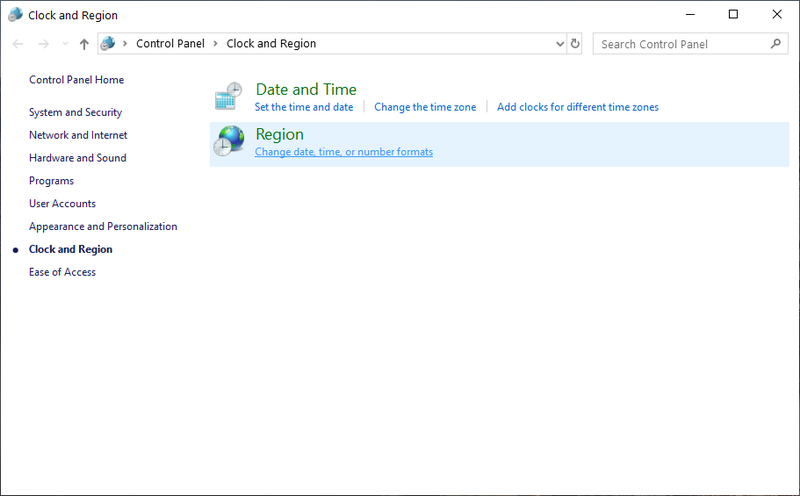 Fortunately, the Time and date settings have made it there in the latest versions of Windows 10. However, some settings still need to be accessed via the legacy interface and control panel. 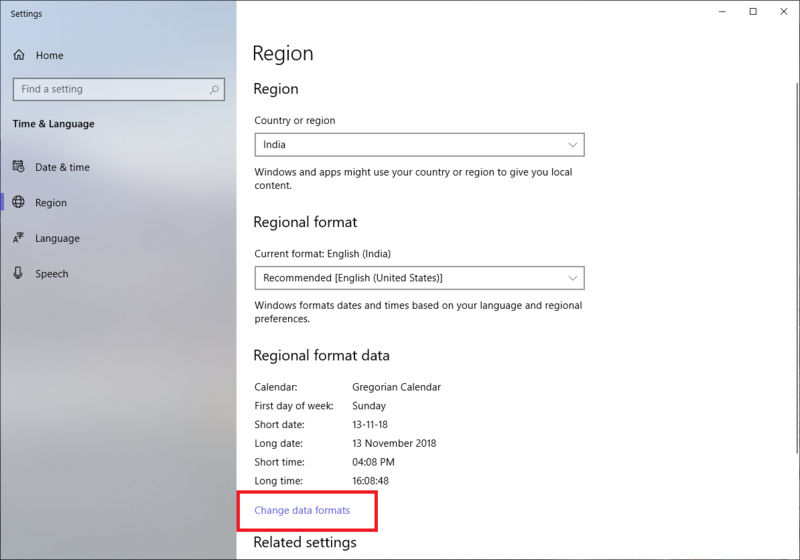 Launch the Windows 10 Settings app and navigate to Time & Language > Region. Alternatively, you can just right-click on the date and time in the taskbar and select Adjust date/time. From here, click on Region in the left column. 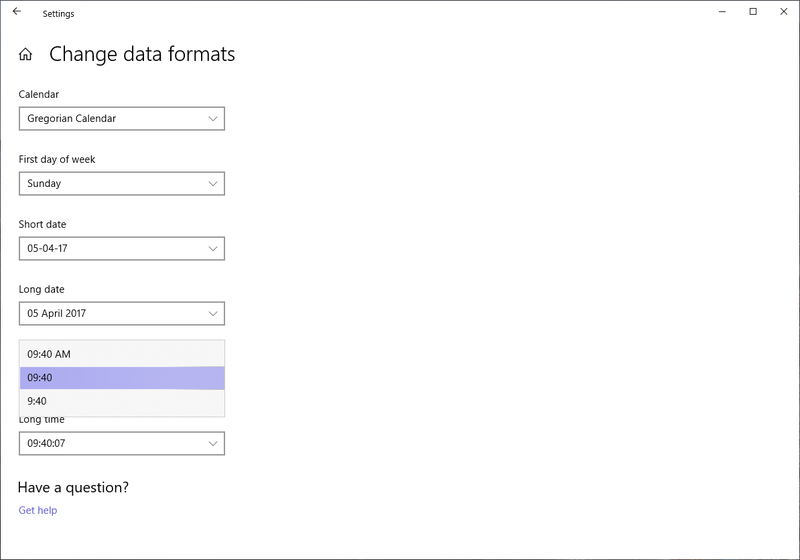 Under the Regional formatting header on the right, select Change data formats. 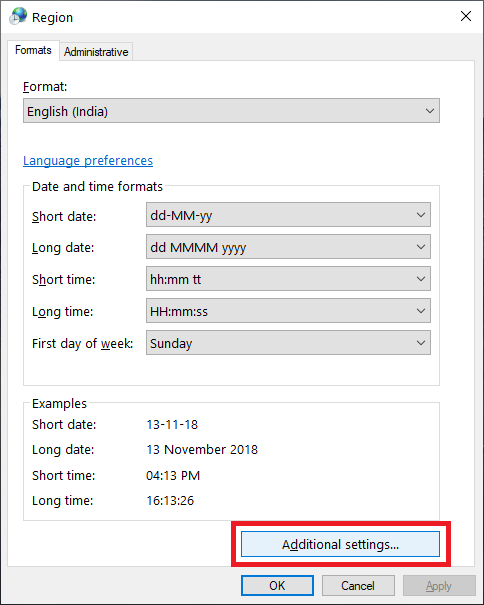 Select your desired date format from the drop-down menu under Short date. Similarly, select your desired date and time format from the drop-down menu under the Short time heading. The 24-hour clock formats won’t show AM or PM. Close the Settings app when you’re done. While you can change the date and time formats in the Settings app, you can’t add custom formats. 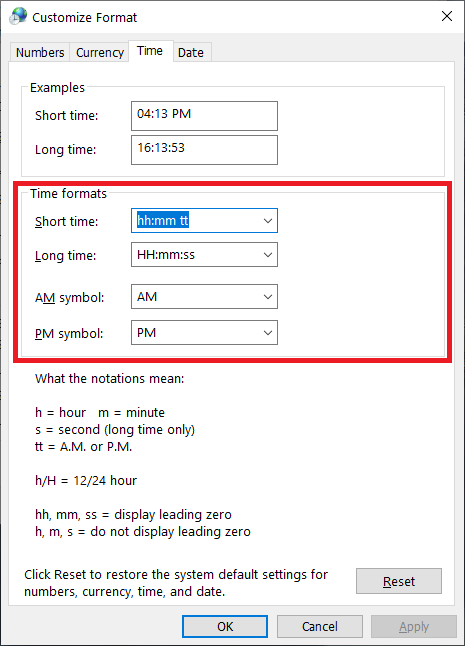 For adding a bit more uniqueness to the date and time format in your taskbar, you’ll need to access the settings from the Control Panel. 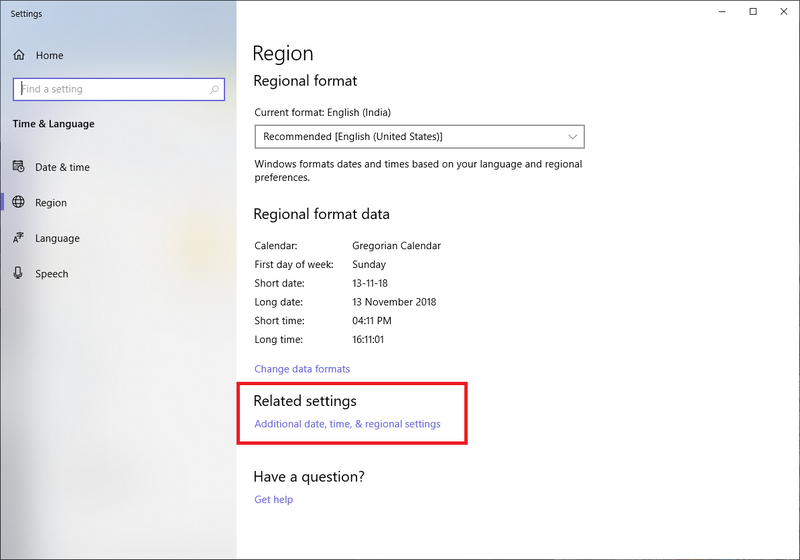 To get there, go to click on Additional Date, time & regional settings under the Related settings heading found in Settings > Time & Language > Region. This is right below the Change data formats option you clicked on earlier. In the Control Panel, select Change date, time, or numbers formats under Region. Under the formats tab, click on the Additional settings button. Click on the Time tab and under Time formats, you can change to any time formats you prefer. Click on the Apply button when you’re done. Similarly, you can change the date format in the Date tab under Date formats.